Parkinson’s Disease is progressive and symptoms may come on in stages. Difficulties increase as the disease progresses. Learning how to continually adapt not only the home environment, but also daily living processes that take into consideration a gradual decline in health and abilities should be the main focus of caregivers. Adapting the home environment to not only deal with the challenges that Parkinson’s disease presents, but also to everyday routines easier– such eating, bathing, and dressing helps to lengthen quality of life. Living areas, kitchens, bedrooms and bathrooms need to be adapted to the special needs or increasing physical and cognitive difficulties of people afflicted with Parkinson’s. Floor rugs: Thick floor rugs are more difficult to walk on than thin carpets or bare wood floors. People with Parkinson’s typically develop a shuffling gait that leads to frequent trips or falls if care is not taken to remove such hazards from their environment. Floor rugs should be tacked down, and bare flooring should be cleaned with non-skid floor wax. Lamps: Standing lamps as well as table lamps should be placed so that they cannot be easily tipped over. Make sure the person seated in a wheelchair is able to reach lamp switches and cords without discomfort. Furniture: Furniture needs to be placed far enough apart to enable a wheelchair to have access in and around any room in the house. Most experts suggest that furniture items be placed roughly 5 1/2 feet apart from each other, which allows a wheelchair to perform a complete 360-degree circle without hitting any stationary object. Home decorations: Thresholds, as well as objects like floor vases, statuary, and side tables often prove difficult to navigate around. When possible, remove them. If you are caring for a person with Parkinson’s disease beware of sharp edges. Cover the edges of countertops and other surfaces with cushioning. Remove locks from bathroom doors, and install Ground Fault Interrupted electrical outlets. These outlets serve as protection against electrical shock by interrupting electrical current between a person and an electrical appliance. These inexpensive outlets automatically shut off current in the event a person’s hands or feet are wet when they touch an electrical appliance. In some cases, caregivers may opt to replace glass shower doors with plastic doors or a plastic shower curtain. Non-skid mats within the bathtub and around sink and bathtub areas are important to reduce the risk of slips and falls. To eliminate confusion in later stages of Parkinson’s where cognitive abilities are impaired, caregivers might use paint or tape to color water faucets red or blue to designate hot and cold. Because someone suffering from Parkinson’s may have difficulty grasping objects, it is suggested that soap to be used for bathing or washing be tied into the toe of a sock or in a nylon stocking and then tied to a grab bar within the bathing area. In addition, toilet paper, Kleenex, and washing needs should be within easy reach and accessible without a person having to reach for them. Because of an increasingly difficult ability to move around and adapt to sudden changes, it is important that all furniture throughout the house be stable. Rollers should be taken off bed frames or locked in place to prevent slipping. A person with Parkinson’s disease who is confined to a wheelchair should lock the wheels on their chairs before movement is attempted. The kitchen area needs to be made as accessible and user-friendly as possible for someone suffering from Parkinson’s. Pieces of rope or fabric tied to drawer handles will increase access, as will such pulls on cupboards. Whenever possible, leave items between chest and waist level for easier access and to avoid the need for reaching or stooping over to reach dishes, silverware, as well as food in the refrigerator. To help prevent accidents, install grab bars beside toilets, sinks, and in the tub or shower area depending on the need of each individual care receiver. In many cases, it is difficult for a person suffering from Parkinson’s to negotiate a normal doorknob. Because of this, installations of door pulls or utility handles on doors throughout the home allow easier grasping. Many aspects of daily life that may seem simple become come increasingly difficult for someone suffering from the advances of Parkinson’s disease. For example, baths become increasingly difficult and showers are usually preferred. Some people with Parkinson’s eventually develop dementia, or confusion, and the sound as well as the feel of running water may sometimes frighten them. When bathing, give the person time to adapt to the situation and to understand what is happening. Start with less sensitive areas of the body such as the feet and hands, and then assist with washing as needed. Something as simple as brushing the teeth may become a frustrating endeavor for someone who shakes badly. People with Parkinson’s often suffer not only from tooth decay, but bone and gum disease. Adaptive handles for toothbrushes, hairbrushes, and combs are available from medical suppliers, as are special cups and glasses that make them easier to hang on to. Dressing someone suffering from Parkinson’s may take an increasing amount of time as motor skills and strength decreases. In addition, stiffness or pain may often make dressing a dreaded task. Whenever possible, replace buttons or zippers with Velcro tabs. Loose fitting clothing is easier and more comfortable to get into and out of. One of the most important things for a caregiver to remember when dressing someone is to go slow and take plenty of time. A very common symptom of Parkinson’s is “freezing.” Freezing means extreme rigidity and almost complete loss of movement. When walking or moving, some people with Parkinson’s may feel like they’re glued to the surface of the floor. When this happens, it is suggested that the caregiver ask their loved one to pretend that they are stepping over an object on the floor or even encourage them to rock very slowly and gently from side to side in order to help them get moving again. For a person with Parkinson’s disease, a daily massage feels wonderful, and not only helps to relieve spasms, tremors and cramps, but may provide a great sense of relief at the end of the day, or even several times a day. Heating pads help to relieve aching muscles, and mineral ice does wonders for stiff joints. Encourage your loved on to squeeze a rubber ball for short periods of time throughout the day to help reduce tremors and to keep hands and fingers strong and supple. Encourage exercise to whatever degree your loved one can accomplish to help keep muscles, tendons and joints strong for as long as possible. Specially designed eating utensils with padded or built-up handles help facilitate the eating process. Depending on the severity of the condition, caregivers may place food within reach, or help feed the person. This process should not be rushed. Generally, it may take anywhere from a half an hour to 45 minutes or more for someone to finish their meal. People with Parkinson’s may experience difficulties with eating, such as excessive chewing or swallowing and difficulty chewing. In some cases, it may be necessary to purée foods or to make sure they are finely chopped in order to facilitate eating. In some cases, food may need to be placed in bowls, rather than served on a plate, which makes it much easier for patients to scoop food. Medications may cause a dry mouth, so it is very important to always encourage adequate sipping of liquids while eating as well as throughout the day. As the disease progresses, patients often choke or cough while eating and drinking. Drooling is often a sign of a decrease in the swallowing reflex, and special attention and care should be taken to ensure the safety of the loved one while eating. At this stage, a caregiver should be present during all meals. Because cognitive changes and behaviors are often experienced in the later stages of Parkinson’s disease, caregivers need to increasingly avoid over-stimulation as well as to break tasks down into manageable parts. While encouraging the person to remain as independent as possible, increased attention needs to be focused on safety as well as making daily living needs easier on the person who has Parkinson’s. As the disease progresses, communication may become more difficult. Continue to encourage communication, and allow more time for response as well as verbalized requests from your loved one. Caregivers have the ability to make life much easier for many suffering from Parkinson’s disease. 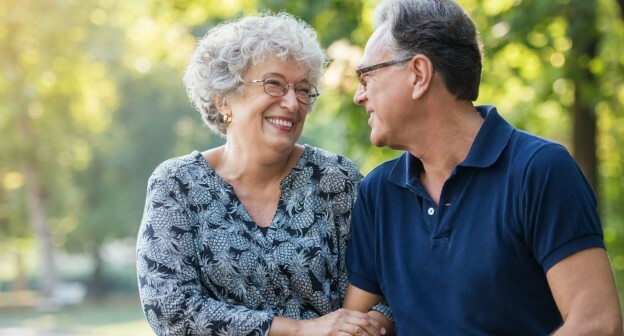 An educated caregiver knows enough about Parkinson’s not to expect too much from a loved one, and to know where the boundaries lie between what they can or can’t do during various stages of the disease process. By planning ahead, a caregiver may be able to anticipate problems or issues before they negatively affect a loved one. Denise Clark has written about health and medical issues, including caring for seniors. She has experience as a certified nursing assistant who has worked a long-term care facility for geriatric residents.